Bowen Pottery in Black Forest, Colorado is keeping birds happy from coast to coast. We have three sales here at the studio every year, with our big Memorial Day Weekend Sale, Friday through Monday, May 25th through 28th! Visit our main website at bowenpottery.com to see all of the pottery we make to enhance both home and garden, and check out our Bowen Pottery Facebook page to get frequent updates on the latest happenings. Our Dirty Bird Bird Baths will be for sale here at our studio sales, and also eventually online in the bowenpottery.com webstore. As always, the biggest selection will be right here in our garden this Memorial Day Weekend. How to attract wild birds to your garden? Honey bee lovers, help our fuzzy, friendly pollinators! All creatures need a sip on a toasty day, not just birds. 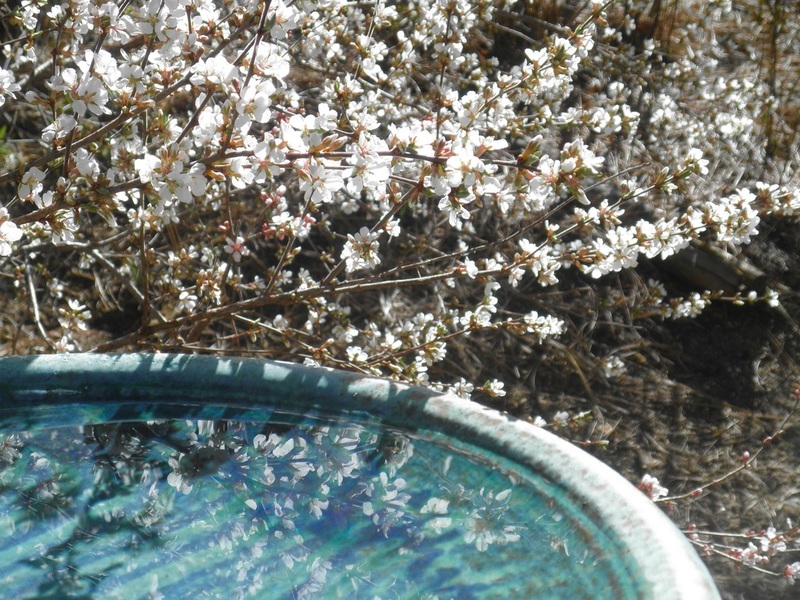 Select a birdbath with an unglazed rim to accommodate those tiny tootsies, so bees can feel safe and secure while they enjoy a nice beverage in your back yard bee cafe. We also offer bee baths with a raised center island to accommodate the clumsiest of clients. 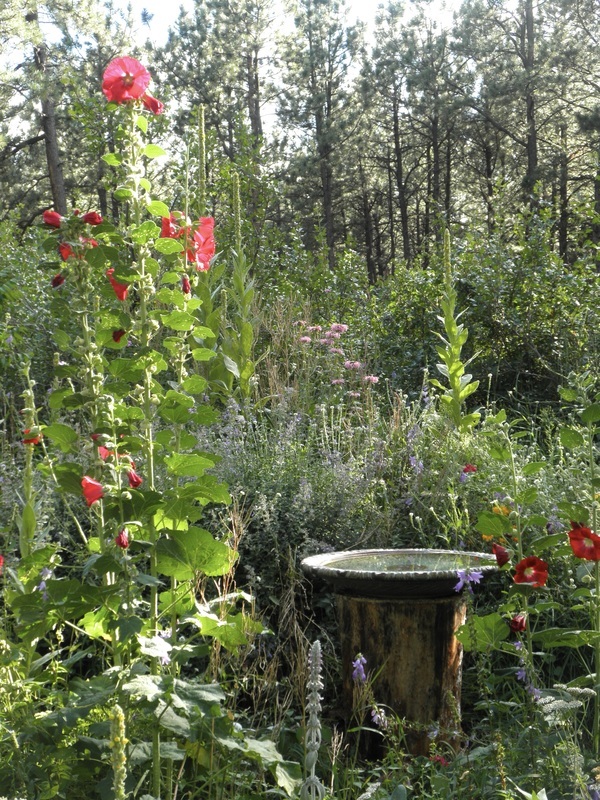 Landscaping with unique garden bird baths allows you to express your individuality while creating a tranquil setting for bird watching and relaxation. If you have an aviary flock of parrots, canaries, or finches, add a touch of feng shui by giving them the artistic water feature of their dreams! 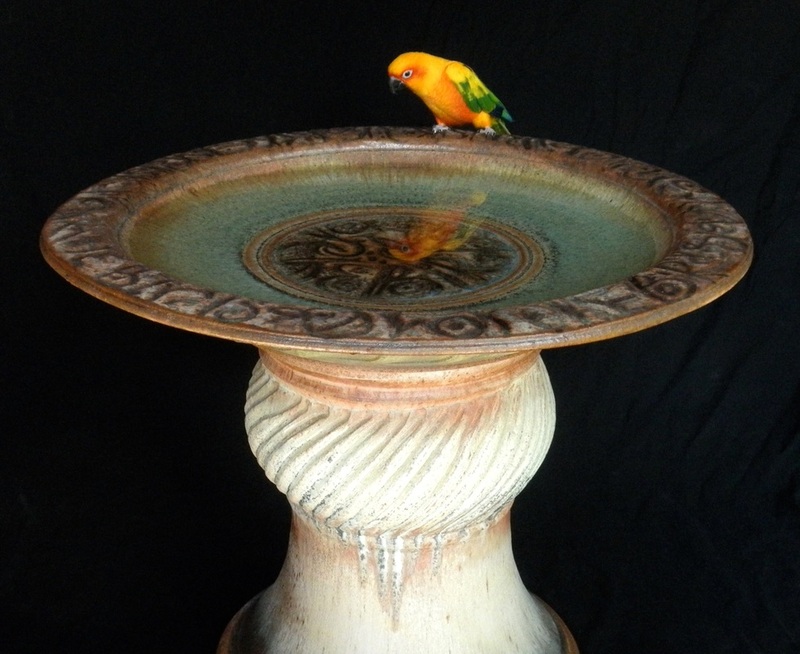 With Dirty Bird Bird Baths you'll find a style and color to satisfy a wide variety of avian preferences. Glazes range from classic and elegant, to festive and bright. 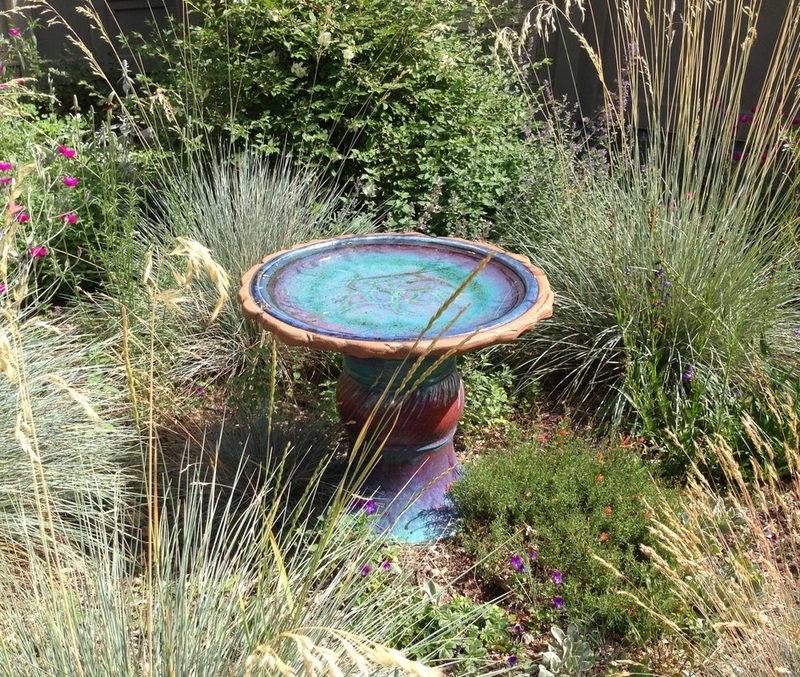 We offer bird baths from short to tall, with or without pedestals, and from 12 inches in diameter to more than two feet across! You know your feathered friends best; what would they prefer?